Rewarding & Recognizing – It’s a Leaders Job! Many years ago I was discussing with a team manager what appeared to be lack of general motivation of his inside sales reps. Their numbers were struggling and they didn’t seem to be very engaged. He immediately said to me, “I am not responsible for motivating a sales rep, they have to motivate themselves”. Well, I think we would all agree with him that we want inside sales reps who are highly self-motivated…but then again, who wouldn’t? Contrary to what this manager told me, I believe that building a culture and practice of recognizing, and thereby motivating, individuals is one of the most important jobs a manager can have. A highly engaged and motivated team is critical if you want to establish a high-performing team. Although building this type of culture goes well beyond recognizing and rewarding people, I would like to share with you a few simple tips that have helped me implement some formal programs over the years. Begin with a brainstorming session and include a sampling of reps and managers in the mix. Review the key goals of the team and tie them to corporate goals. Consider the timing: How often should you recognize…of course daily!, but meaning in a formal sense. Should it be weekly, monthly, quarterly, etc? Many managers tie it to monthly team meetings which is a best practice. Consider what you are recognizing, ie: rep of the month, top producers, key contributor, un-sung hero, most improved, and so on. This is where having your managers and reps work together to come up with the categories will pay off. Plan out the actual rewards such as cash, time off, gifts, plaques, etc., and remember it’s not always a tangible thing that works best. Don’t forget to plan out how you will actually do the recognition…ie: in front of peers, at a meeting, e-mails to superiors, etc. A huge gap I also see is where recognition comes and goes depending on the quarter or year. Whatever you do, don’t skip a week or month, or whenever you plan to have your recognition meeting. Reps come to expect it and will be let down if it doesn’t happen. Use different methods to survey the team and individuals to see what would motivate them the most. Remember too that recognition and motivation does not always have to be in the form of a gift or something tangible. Often, the greatest motivator can be when a person feels that they have played a key role in helping the organization achieve some small but significant success. Finally, if you are going to reward with something tangible like a spiff, cash, or a gift, DO NOT BE CHEAP…it really send the wrong message that the employee is not really valued and worth that much. It would be better to not give any gift at all, and to find an alternative way to recognize than to give something cheap. 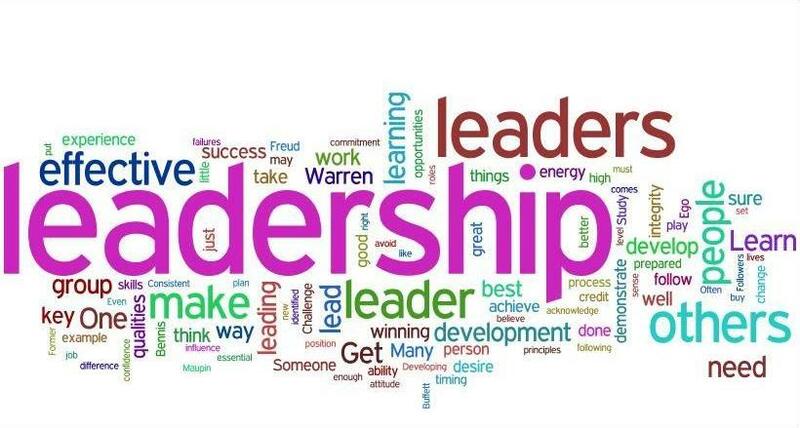 Ok, leaders…. 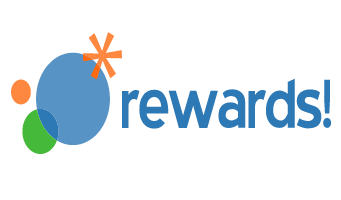 How is your Rewards and Recognition program? If it needs some work, make it a priority in the New Year… remember it’s YOUR job! One of the biggest traps that leaders can fall into is losing focus on the people side of leadership. As a follow on to last week’s blog, I’d like to stay focused on this important topic. Regardless if you manage a small front line team, or hundreds of inside sales reps and other managers, maintaining focus on your people is critical to a developing and maintain a motivated and productive culture and workforce. It’s easy for the pressures of quotas, metrics, processes, reporting, hiring, training and all the meetings to keep the most well-intentioned leader stuck in their office, on calls, in meetings and “far away” from interacting with their people. Here are 5 simple tips which I have used in the past to help me stay connected on a personal level with my people. SKIP LEVELS – If you are a Director or VP and have supervisors or managers reporting to you, establish a regular schedule of skip level meetings, where you meet either individually, or in small groups, with all of the front line sales people. When I accepted a new position as VP of Inside Sales with over 100 people in the organization, one of the first things I did was to take small groups of employees out to lunch during my first month of employment. This sent a message that I cared about the employees as people, not just revenue producing reps. I would suggest doing skip-levels at least once annually. If you are a front line manager, you can still schedule lunches or meetings with individuals or groups of 2-3. Remember to focus on them and have the conversation centered on getting to know them personally, and not so much about work. OPEN UP YOUR HOME – One of the things I tried to do over the years was to invite my direct reports and/or front line reps into my home for either a group dinner, a Holiday gathering or other event. Not everyone is able to participate based on their schedules and other commitments, but it sends a message that you are interested in your people not just when they are selling and working, but outside of work time as well. It also shows the “human” side of you while fostering a sincere approachability. CHECKING IN – Schedule a couple 30 minute blocks during the week in your Outlook calendar to simply “Check-In” with your team in their cubes or offices. This is your time as a leader to physically touch base with your employees in their cubes. During your “check in” time, ask meaningful questions based on their personal challenges or interests outside of work…such as “Did you get a chance to see your son or daughter play a game on Saturday?”, “What are your plans for the long weekend at the cabin?”, “How is your Grandmother doing?”, “Did you get a chance to go skiing?”, etc. Mentioning the areas that your folks have interest or needs in, sends a strong message that you genuinely care about them as people. RECOGNIZE – I have heard many outstanding leaders say that it’s hard to recognize others too much. The fact is we get so busy that we forget to recognize others. Recognition not only plays a role in helping to keep individuals motivated, but it also helps to develop a leader’s trust and respect with their teams. When you recognize others, try to follow these simple guidelines. Recognize the person or group as soon as you can after noticing what they did to receive it. Make it specific by using an example of what the person did to receive the kudos. Share the recognition publically in front of their peers as appropriate. Copy in your boss or leaders above you when possible. Make recognition an on-going and consistent theme. In addition to recognizing individuals for a job well done as it takes happens, consider placing recognition as a standing agenda item in your team meetings. HUG YOUR PEOPLE – I would strongly recommend reading a book called HUG YOUR PEOPLE by Jack Mitchell. Jack actually key noted the AA-ISP Leadership Summit in 2013. The book shares numerous ideas on how leaders can demonstrate an honest to goodness care and concern for their employees as PEOPLE. Some of Jack’s tips include how to write meaningful notes, how to give feedback, how to include employees in the decision making process, and how to develop an overall culture focused on people as individuals. Set aside a few hours because once you start the book, you won’t be able to put it down. Make 2014 a year dedicated to your PEOPLE. Happy New Year!